“I believed that there was absolutely no chance for her (Tharishka) condition to get any worse. 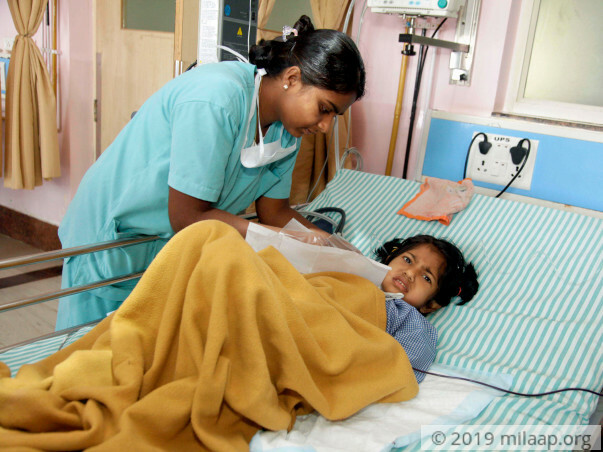 But within just a few days I was told that if she doesn’t get additional and timely treatment, her kidneys will fail and she will be no more.” – Tharishka’s mother, Sheetal. 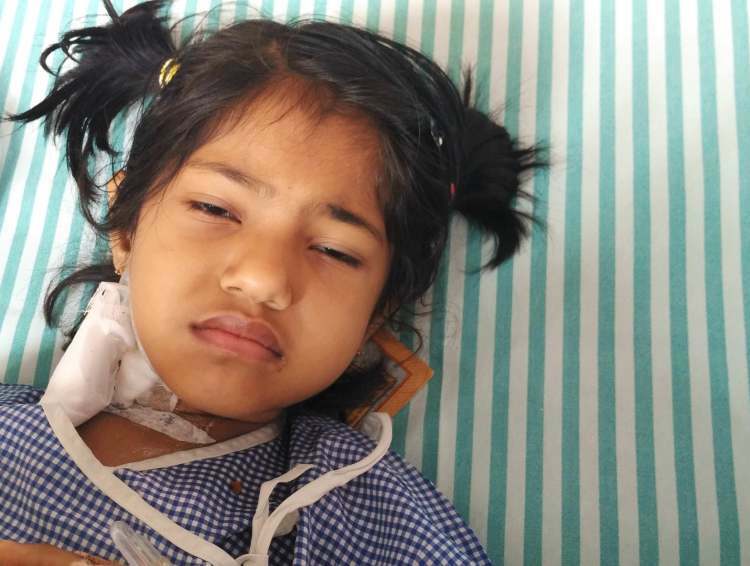 Suffering from a rare and deadly disease, and on the verge of kidney failure, 5-year-old Tharishka condition has worsened rapidly and now she is extremely critical in the ICU. She needs to be in the ICU for a week and needs additional treatment to avoid complete kidney failure. She can recover, but her parents fear losing her because their financial condition is so weak that they have nothing left to save her. 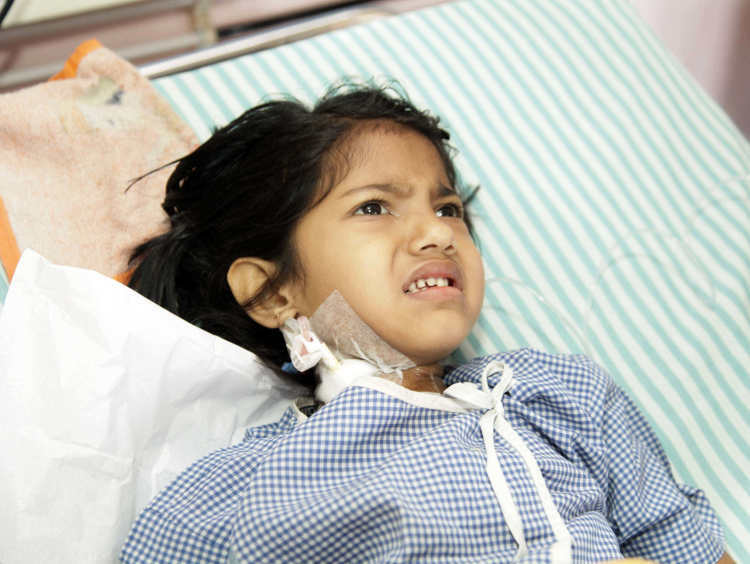 Currently, Tharishka is so critical that her treatment, for now, could not be delayed. She is in the ICU, undergoing dialysis, and she needs to remain there for, at least, a week more and then await additional life-saving treatment. Less than a month ago, Tharishka was completely normal and extremely active, just like any other 5-year-old. 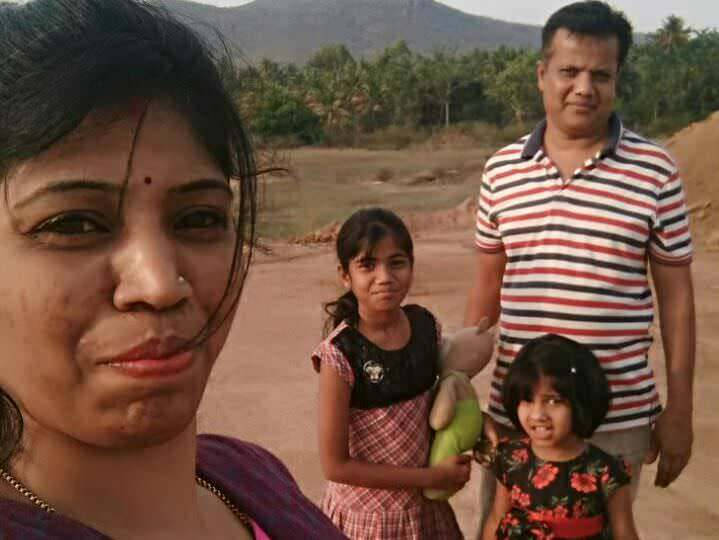 Along with her family, she was enjoying her stay at her aunt’s house in Bangalore. Suddenly, she was down with high fever and her health was getting worse by the hour. All sorts of tests were performed on Tharishka for 7 hours. 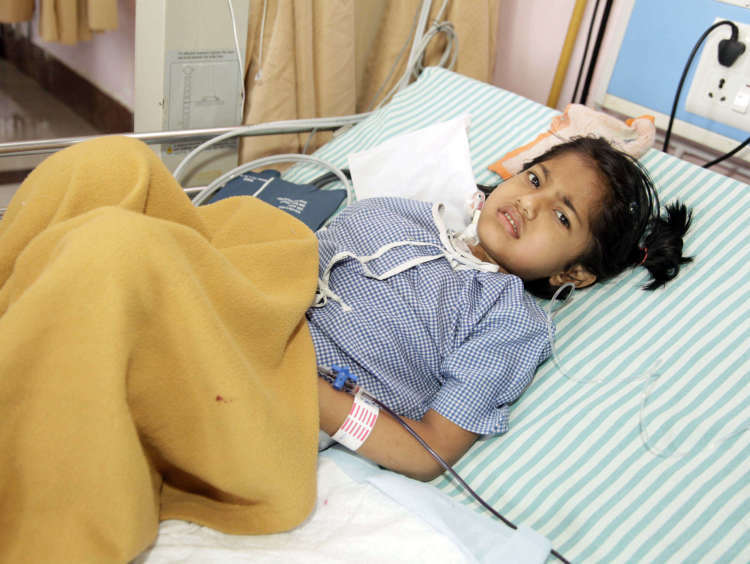 When she was diagnosed with the hemolytic-uremic syndrome, a rare and deadly disease which causes kidney failure, Sheetal and Praveen were completely shattered. This disease can prove to be fatal very quickly if left untreated. Her hemoglobin levels had dropped to 5, which is less than half of what a normal 5-year-old should have. This was dangerously too low and she had to be admitted. 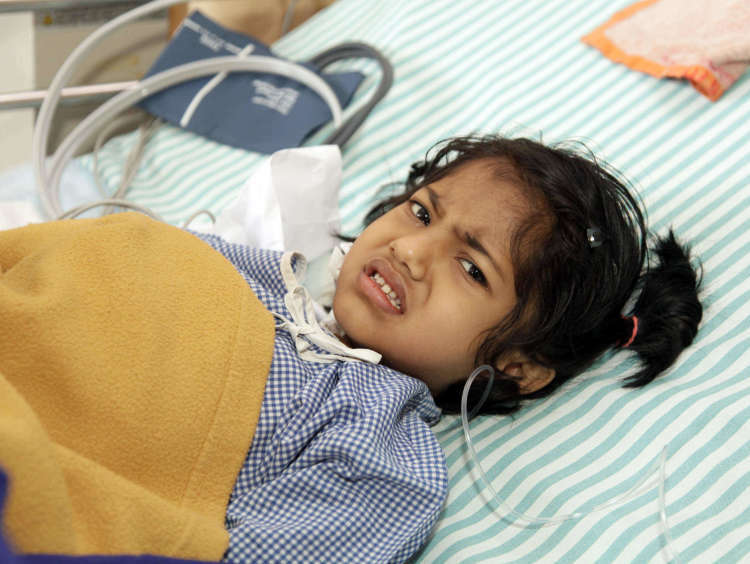 Apart from fatigue, high fever and throwing up, the 5-year-old is suffering from blood clots in her kidneys, which are at high risk of failure. She is extremely critical and to survive, she needs dialysis and additional complex treatments later. If she doesn’t get the treatment, she has high chances of dying. All this is possible if she remains in the ICU for a week and gets the treatment later. Her father, a farmer, is running out of time to save her. Hailing from a small village in Karnataka, Praveen is a farmer who earns a meager salary of Rs. 4000 every month. Until now, he has exhausted all his savings and spent Rs. 30,000 on Tharishka’s treatments. Sheetal and Praveen have a 10-year-old daughter, Samiksha, too. Critical in the ICU, Tharishka needs to be there for a week and undergo dialysis, and await further treatment. This is her only hope of survival. The total costs for the ICU stay and additional treatments are estimated to be around Rs. 4 lakhs. Praveen, simply, cannot afford this monumental sum even if he worked for decades. 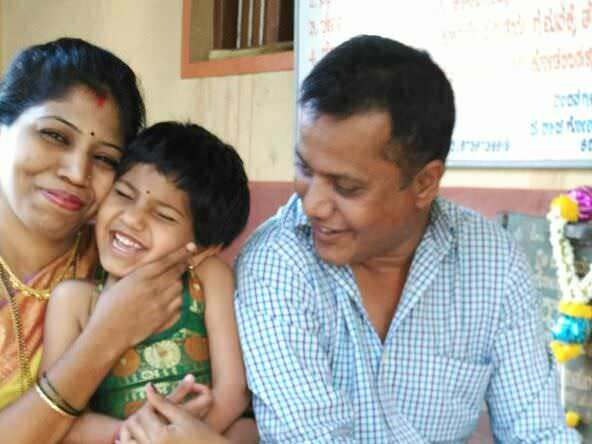 Suffering and extremely critical due to a rare and deadly disease, 5-year-old Tharishka is on the verge of kidney failure if she doesn’t get additional treatments. 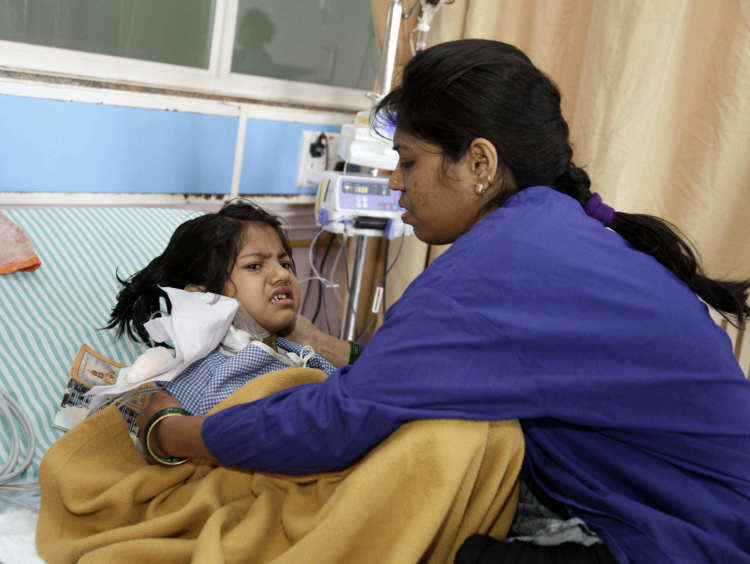 Praveen, her father and a farmer, has nothing left to provide for her treatments and is running out of time. Now, he needs your help to save his daughter. 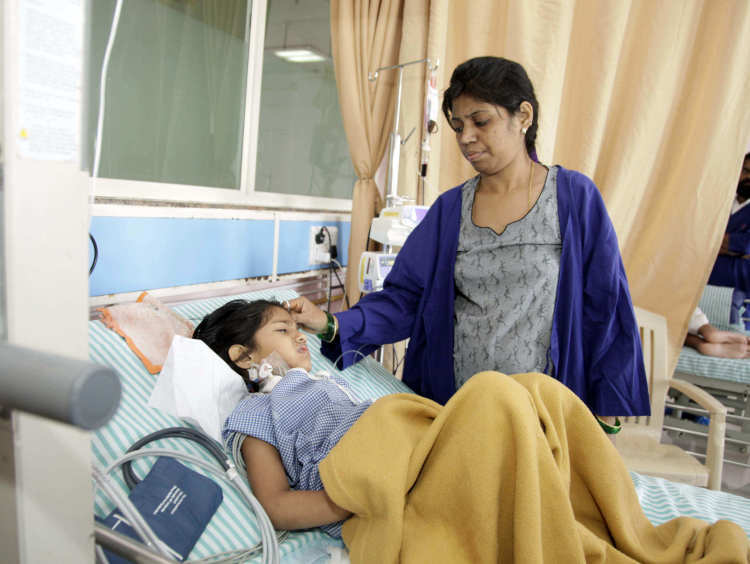 Your support can save 5-year-old Tharishka. But there is much more comfort with the prescribed medicines. Thank you for the wonderful support and love. Thank you for the wonderful love and support that you have shown towards Tharishka. 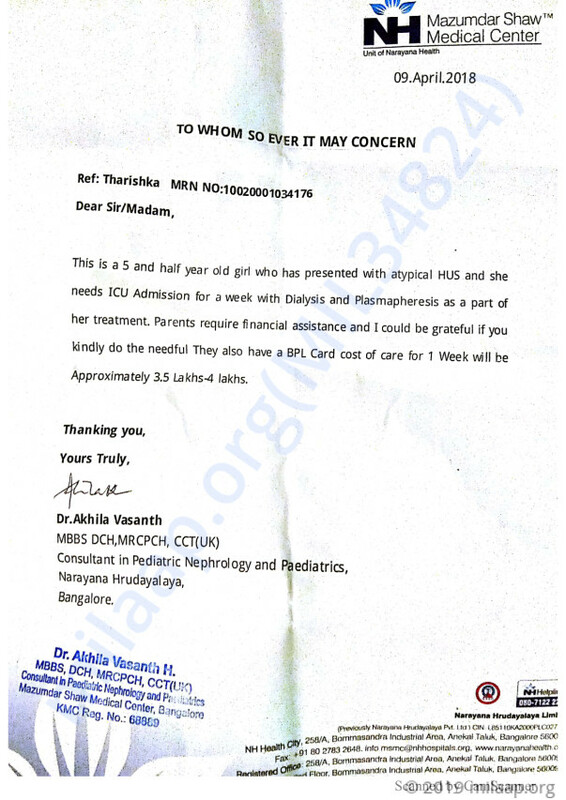 She is undergoing treatment for HUS (Hemolytic-uremic syndrome). This is a syndrome where the kidneys stop normal functioning due to an acute kidney Injury and the blood circulation also breaks down wherein the antibodies in the blood increase by an abnormal level. She was undergoing a process to remove the excess antibodies on a daily basis for the last six days. The process of removing the excess antibodies costs close to ₹25,000. Then she was regularly undergoing dialysis to support her body which was around ₹3,000- ₹5,000. She also needed other medication. She has shown tremendous recovery and the process of removing antibodies now is being done on alternate days. This will eventually come down to 1 time a week in about six weeks time. Her kidney is also recovering and the frequency of dialysis will reduce. Thank you all once again. Do pray for her recovery. Will keep you posted. May Allah give you the strength to get over this pain. God bless you ma. Get well soon.